It’s such a beautiful day here in the north of England today and I can’t quite believe that I even managed a spot of gardening this morning. I’m am definitely starting to feel just a tad excited about the warmer months ahead. It really does feel like we have had the longest winter ever. 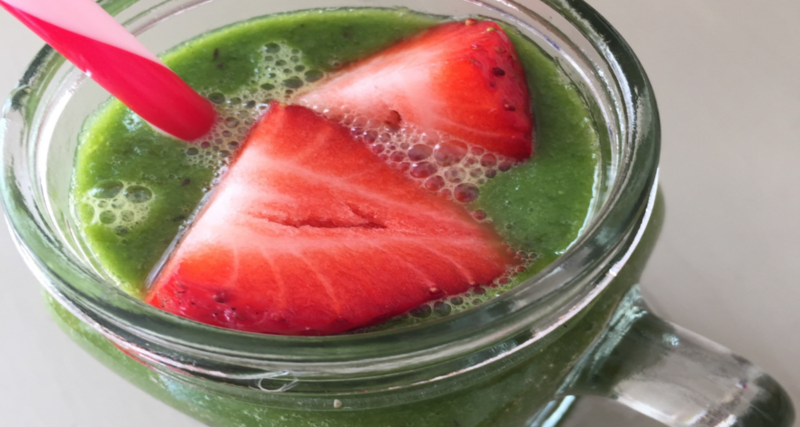 On the table this morning is a delicious green smoothie. Smoothies are just so quick and easy to make and even though they shouldn’t be your sole source of vegetables or fruit, they are the perfect way to increase that veggie load. Make sure you’re also eating some whole fruit and vegetables to get that delicious fibre your body so badly needs.